I find this quote true in my life. How about you? This entry was posted in Blogging and tagged Blogging Community, One Liner Wednesday on November 12, 2014 by Deborah Drucker. True in my life? Yes, yes, and yes. 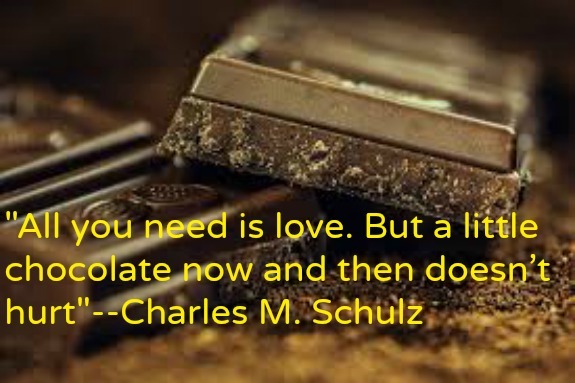 Love and chocolate- life’s necessities! I agree! I just ate some! I am eating chocolate now. No ice cream though. What every man must forever remember: Bring your wife chocolate often!